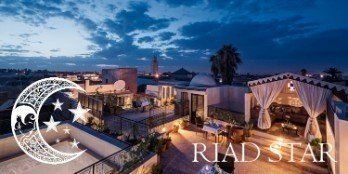 Nestled into the medina just around the corner from the beautiful Riad Papillon, you will find this trendy little spot which is aptly named “L’atelier des Saveurs”. 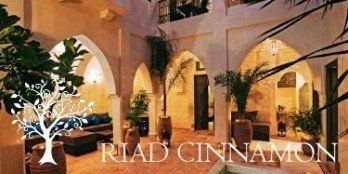 This attractive, open fronted eatery is on the section of street that runs between the palace at Dar ‘l Bacha and the busy taxi drop-off point of Riad Laarouss. It’s location, as well as it’s open front and ground floor dining area, makes for a perfect lunch date with a view of passing Marrakech life. In this joint, they have really maximised space available to them and despite the fact the cafe is cosy, the minimalistic and stylish design creates a spacious feeling. There are plenty of seating options depending on how you’re feeling; you may choose to sit out front in the sun, or find a more tranquil spot at the back of the room for added privacy whilst dining. It is easy to appreciate the clean, simplistic style of this venue; with it’s amalgamation of European, Moroccan & Senegalese influences. When you enter the space, you’ll receive a warm and friendly greeting from the waiter or the manager. 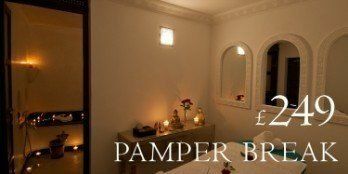 The staff here believe in service with a smile, and have a professional but calm approach to serving you. As the staff are mostly of Senegalese nationality, service is in French (menu in French & English). The staff have an appreciation of good music (a clue is given in the musical instruments hanging around the place), and you will find the playlist consists of a variety of world music tracks from many genres. Largely, they play chill-out, ambient house music. The combination of relaxing music and soft burning incense creates a very laid back lunch break. The menu is extensive, and you will find dishes to suit every palette – from the fussiest to the most adventurous of eaters! 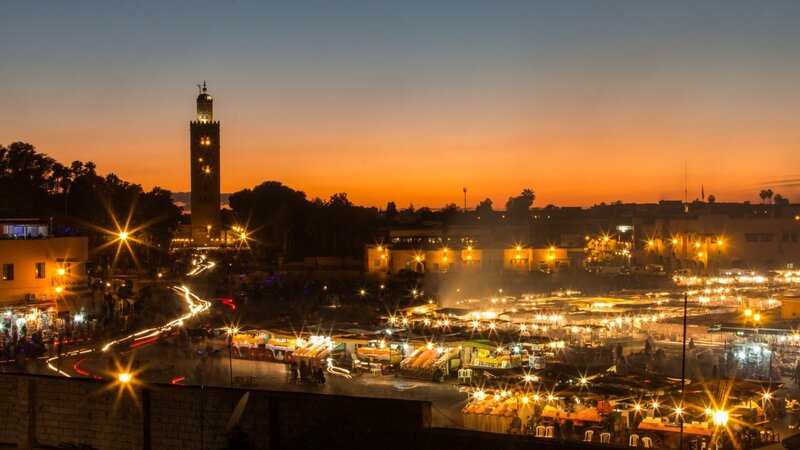 You are sure to eat a lot of native Moroccan dishes when you visit, but if you find you are craving some of the hot chilli flavours that are often missing in local cuisine – then you will find plenty of options here to quench your appetite! From a classic tagine, to Mexican chilli con carne; the menu is enticing and great value. Most main dishes will cost you between 6 and 7 euros, whilst drinks and desserts are between 2 and 4 euros each. 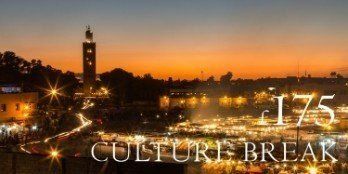 If you feel like trying something different in Marrakech, there is a Senegalese dish on the menu too. We tried and tested the ‘Burger Montagnard’, a delicious sandwich of juicy beef, goats cheese, onion confiture and fresh salad. This dish had a subtle, spicy heat in the onion confiture which was totally moreish. The portion size was generous and as a snack, it was enough for two people to share. We would also recommend the seasonal fruit juice; a refreshing blend of locally sourced, ripe fruits. At this time, the juice was made with red apples, sweet oranges and “beldi” bananas. A fabulous and healthy lunch for the price of 9 euros! The best news is that L’atelier des Saveurs participates in our 10% discount scheme. 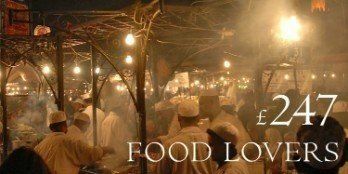 If you find the restaurant using our Marrakech Riad Travel App guide, then a 10% discount will be applied to your bill! ← Tagine du Poisson aux Legumes | A Moroccan Recipe.